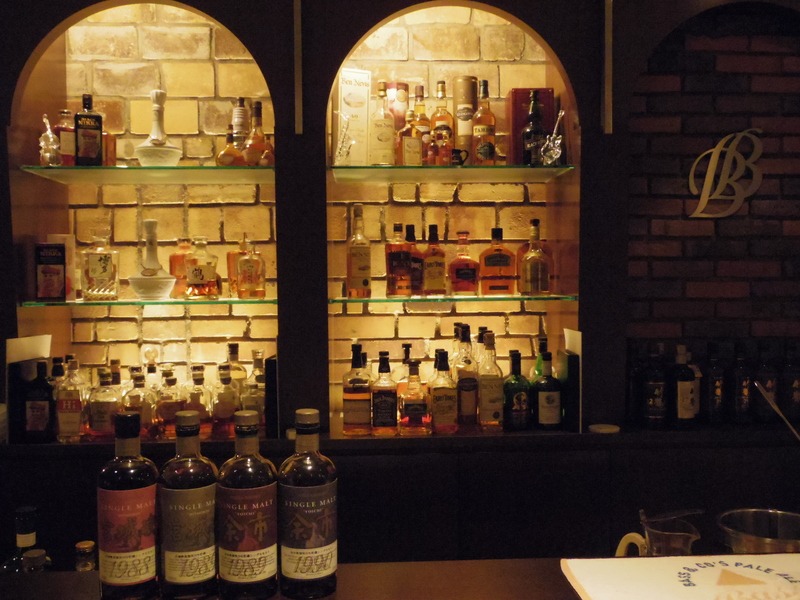 If you are visiting Tokyo for your holidays and you are a japanese whisky addict, the Nikka Blender's Bar is the place where you can enjoy the full range of Nikka. 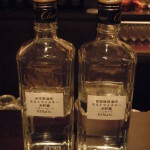 You will have the choice between all Taketsuru versions including the exclusives 25 and 35 years old, Yoichi and Miyagikyo single malts including several single casks, all the blended whiskies offered by the brand and an assortment of single malts classified according to their flavor profiles; the Key malts. Located in the chic district of Omotesando in Tokyo, Nikka Blender's Bar is not visible from the street, you must use the staircase in front of the Nikka's building to penetrate through this mecca of japanese whisky. Inside the atmosphere is rather subdued and the omni presence of whisky bottles in the decoration take you into the world of Nikka. 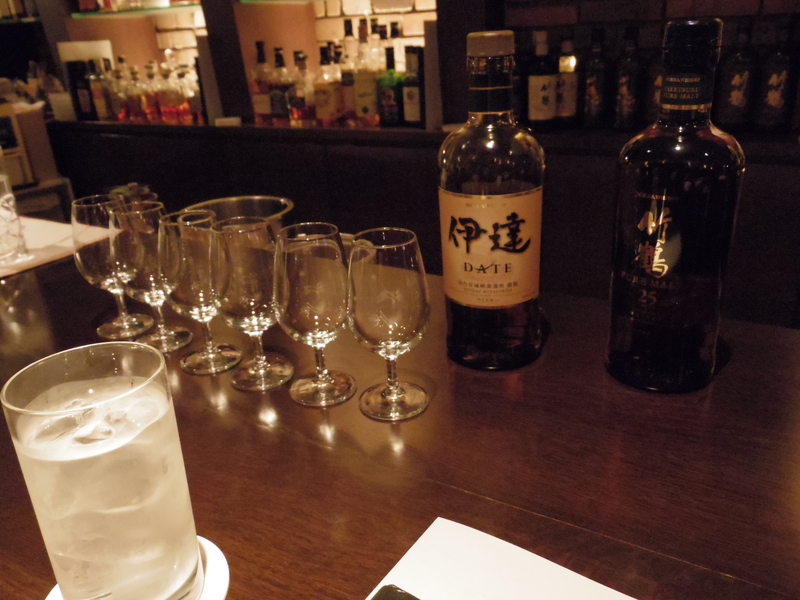 The bar tender, a true whisky expert, will welcomes you with the rigor of the japanese courtesy and give you all his knowledge in an approximate english. Its quiet and precise movements will captivate you and show you with decency the respect he carries for whisky. Alcohol abuse is dangerous for health, so the choice was difficult to make, but I opted for the assortment of Yoichi and Miyagikyo Key malts, which is a fun tasting of three 12 years old single malts from Yoichi and two from Miyagikyo plus a 12 years old single grain, all for a fairly reasonable price of 3000 Yen. The Key malts are actually a sample of the different types of Yoichi and Miyagikyo single malts produced by Nikka which enter into the composition of their blends and blended malts. 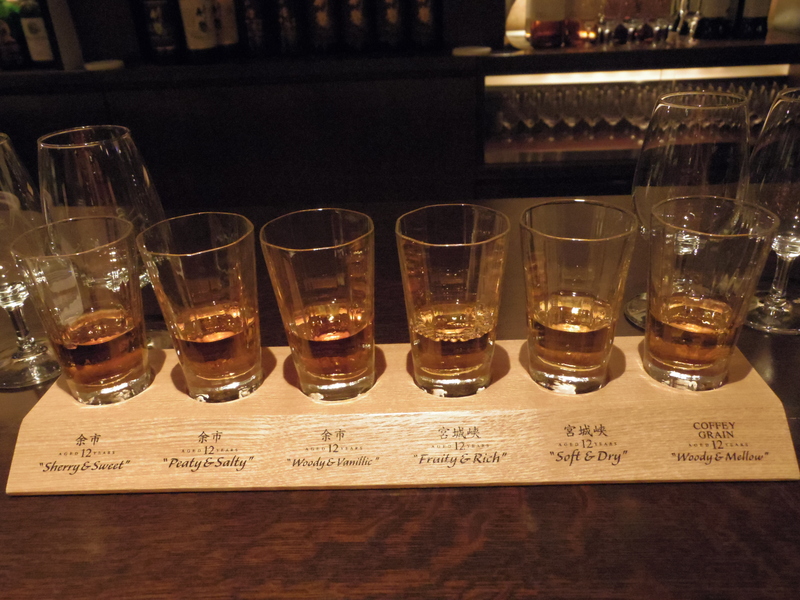 All with specific flavor profiles, "Sherry and sweet", "Peaty and Salty", "Woody and vanillic", "Fruity and rich", "Soft and dry" and "Woody and mellow", they are vatted in different proportions to create a unique and original signature that characterizes each of Nikka whisky. This is a sweet aromatic journey to the very heart of the essence of Nikka whisky. Like a true professional tasting, a glass of ice water to rinse the palate between each sample and a glass of water at room temperature to soften whisky if necessary, accompany the assortment. 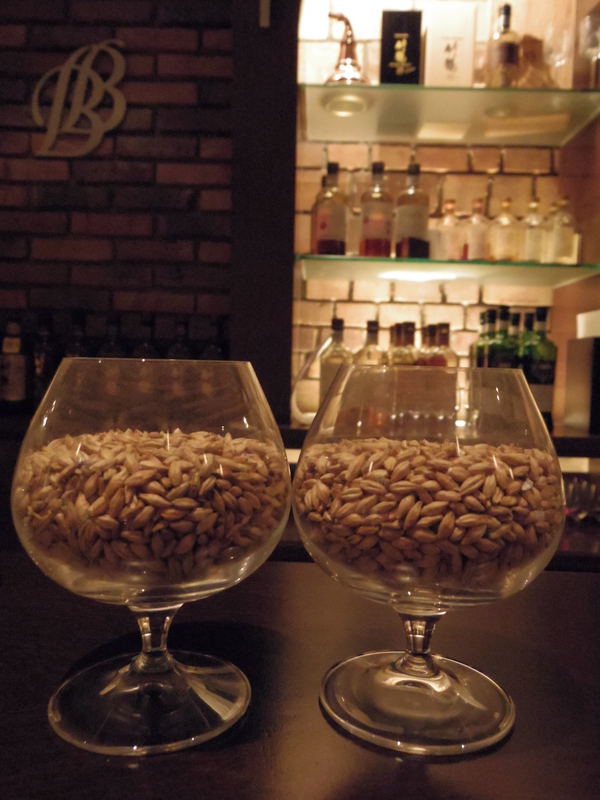 You can also discover the secrets of making whisky through a very playful olfactory experience with smelling a sample of malted barley peated and unpeated plus a peaty and not peaty distillate. 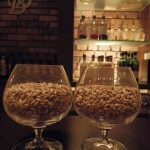 The Nikka Blender's Bar is a place you shouldn't miss if you want to taste some exceptional whiskies or even discover the master blenders know-how to distill. Enjoy a pleasant and fun time, what a better way to start the evening and then take a walk by the streets of Harajuku during the hot smooth Tokyo's nights. All the usefull informations about the direction, schedule and news, here on the Nikka Blender's bar web page. I am glad I found your website over the winter holiday. It was your bit about the Nikka Blender’s Bar that inspired to search for its location before taking my trip to Tokyo this winter. I went there only once, and regretted it since. It is a place I should have gone one more time before leaving. 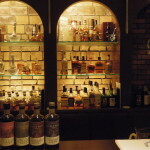 I had their Key Malts, and it is still priced (at least when I was there) a very reasonable 3000 Yen. 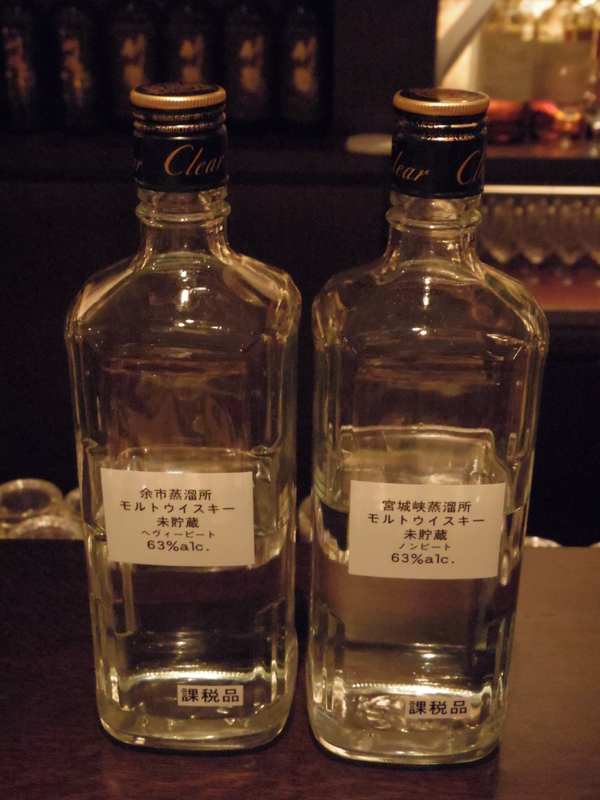 In addition to that, I decided to treat myself to a dram of Taketsuru 21yo; however, not the Non-chilled filtered one. That was out of my price range completely. I already own a bottle of the Taketsuru 17yo, which is definitely in my top 7 whiskies, so I didn’t needed to try that one. To my surprise the 21yo was amazingly different. 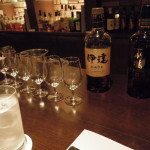 The fabulous thing about it was, having had the Key Malts first, allowed me to appreciate the Taketsuru, as well as Yoichi and Miyagikyo whiskies I have had before. This is a MUST for anyone traveling to Tokyo and enjoys having a SMW. 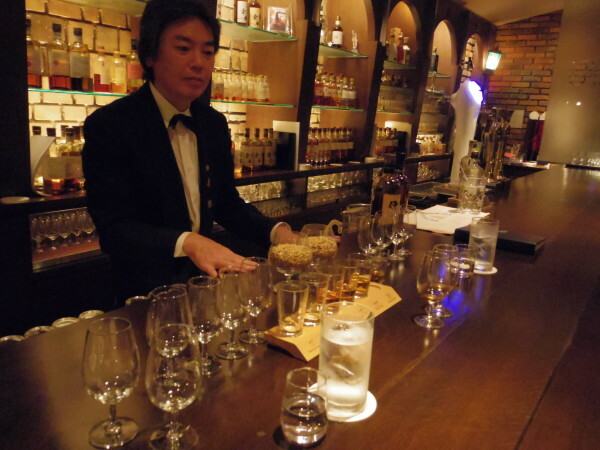 The bar staff that was on hand were typical Japanese bartenders, Service is key. The younger bartender even gave me a name and location of a store where I could find SMWs and more if I wanted to check it out. Well, I am going back to Tokyo in June, for a five day weekend, and you all can guess where I will be going again. 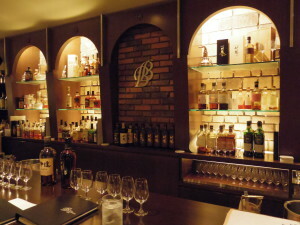 Thanks for the informative write up on the Nikka’s Blender’s Bar. I use this for anyone interested in knowing more about it.